Las Vegas, NV (April 24, 2018) – GDC Technology Limited, a leading global provider of digital cinema solutions, announced today it has won a solicited tender proposal to be CJ CGV’s exclusive provider of digital cinema servers for the next two years. 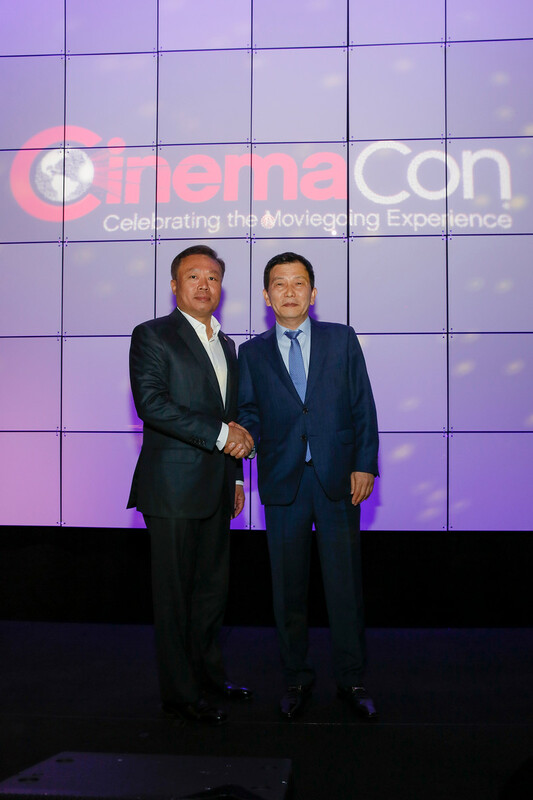 CJ CGV, an affiliates under the CJ Group, operates the largest number of screens and cinemas in Korea. The agreement involves the deployment of GDC digital cinema servers in all CJ CGV cinemas in Korea, China, Vietnam, Myanmar, Indonesia and the United States. CJ CGV introduced the first multiplex in Korea and is known for introducing new innovations to provide the best possible moviegoing experience at all its cinemas. CJ CGV has always strived to offer moviegoers outstanding customer services, value and enjoyment based on its continuous evolution. This agreement provides CJ CGV with powerful GDC digital cinema servers and best-in-class cinema solutions to fully digitize and automate cinema management through machine intelligence. GDC products will ensure CJ CGV will keep its vision of ‘Evolving beyond Movies’ and maintain number one in diverse customer satisfaction surveys. CJ CGV introduced a multiplex theater for the first time in 1998 and created the movie-watching trend in Korea. CJ CGV is the largest multiplex cinema chain in South Korea, and the world’s Top 5 cinema exhibition company present in China, Vietnam, Indonesia, Myanmar, Turkey and the United States. Under the theme of ‘Cultureplex’, CJ CGV has continued developing special theaters like ‘4DX(moving chairs and wind, rain, fog and scent effects etc. )’, ‘ScreenX(a 270-degree screening format that projects images on the side walls of a theater, as well as the front screen)’ and lobby entertainment like ‘lolol(cartoon cafe)’, ‘V BUSTERS(VR entertainment)’. ‘Cultureplex’ is a concept of complex cultural space combining spectacles, entertainment and dinning in theaters. CJ CGV is currently operating 3,432 screens at 458 theaters in seven countries around the world including 1,116 screens at 150 theaters in Korea.